Including: 'Beer Mat Flipping' 'Space Invaders' 'Cottonwool Shot Putt' and many more! 8:00pm onwards - Fancy Dress, TV/Film theme - best costume wins prizes. 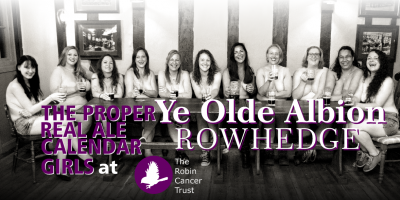 All in aid of the Robin Cancer Trust with The Real Ale Calendar Girls.